It’s been too long, but Pokemon GO Plus has finally been released. The wrist accessory was supposed to come out sometime in late July. However, a last minute delay kept us all waiting for over a month. The wait is over now, though! It’s been formally released at retailers everywhere. So now we can get our hands on one, right? I would be lying if I said this wasn’t expected. 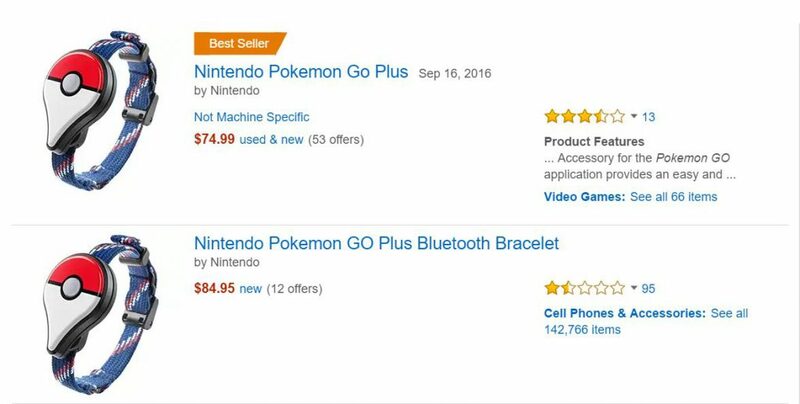 Pokemon GO has been so popular, there was little doubt that the new accessory would be sold out immediately. Where some people see tragedy, other people see black-hearted opportunity. Some Tump-minded individuals have gathered the stock of Pokemon GO Plus watches and jacked up the price for a quick profit. The best idea here is probably to just wait for more to hit the market.